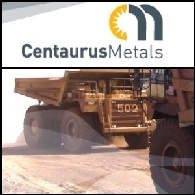 Asian Activities Report for November 14, 2011 includes: Centaurus Metals (ASX:CTM) announces robust results from the Pre-Feasibility Study on its flagship Jambreiro Iron Ore Project in southeast Brazil; Robust Resources Limited (ASX:ROL) reports 206.7 metres of precious and base metal-rich mineralisation within the Lakuwahi Project in Indonesia; Globe Metals & Mining (ASX:GBE) says today that high grade titanium of up to 49.16% TiO2 has been returned from rock-chip assays from recently acquired titanium-vanadium-iron project at Memba, Mozambique; Manas Resources Limited (ASX:MSR) announces the updated results of the mining evaluation and pit optimisation review on its recently upgraded 100%-owned Shambesai Gold Project in the Kyrgyz Republic. 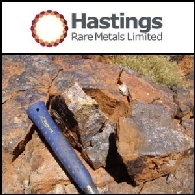 Asian Activities Report for November 11, 2011 includes: Hastings Rare Metals Limited (ASX:HAS) announces the results of a recent sampling programme at the Yangibana Project in Western Australia; iCash Payment Systems Limited (ASX:ICP) has determined to delay the targeted completion date of the proposed acquisition of further interest in NeoICP Korea Inc.; Globe Metals & Mining (ASX:GBE) has signed an agreement to acquire up to 90% interest in a titanium-vanadium-iron project in Mozambique; Mission NewEnergy Limited (NASDAQ:MNEL) (ASX:MBT) will build a major waste material processing facility in Malaysia. 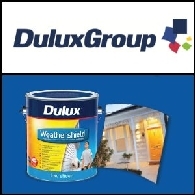 Asian Activities Report for November 2, 2011 includes: DuluxGroup Limited (ASX:DLX) says today that its DGL International business in China will merge with a Hong Kong-based coating products producer, Camelpaint; International Coal Limited (ASX:ICX) has discovered a significant coal seam structure in its South Blackall Project in Queensland; Globe Metals and Mining Limited (ASX:GBE) has commenced the 2011 exploration program at the Salambidwe rare earth element (REE) project in southern Malawi; Canyon Resources Limited (ASX:CAY) has signed an agreement to acquire the Pinarello gold project in southwest Burkina Faso. 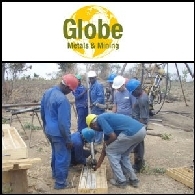 Asian Activities Report for September 26, 2011 includes: Globe Metals and Mining Limited (ASX:GBE) has received initial Fluorite/Rare Earths Elements results at the Mount Muambe Project in Mozambique; Siburan Resources Limited (ASX:SBU) has lodged an application for an Exploration Permit in an area prospective for tungsten and gold in the South Island of New Zealand; Metminco Limited (ASX:MNC) has commissioned drilling programmes in Chile; Carnegie Wave Energy Limited (ASX:CWE) says that its next generation commercial scale CETO 4 unit has been manufactured and delivered to Reunion Island; VA Tech Wabag (BOM:533269) has received an EU$8 million contract for the expansion of Andermatt wastewater treatment plant in Switzerland. 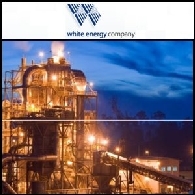 Asian Activities Report for May 30, 2011 includes: White Energy Company Limited (ASX:WEC) is proceeding to upgrade certain aspects of its binderless coal briquette plant in Indonesia; Hastings Rare Metals Limited (ASX:HAS) reported high grade rare metals at Hastings Project in Western Australia; Hot Chili Limited (ASX:HCH) has completed a A$3.65 million private placement to fund additional resource drilling at the Productora multi-commodity copper project in Chile; Globe Metals & Mining (ASX:GBE) has identified multiple, wide rare earth mineralisation in Mozambique. 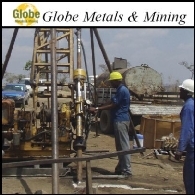 Asian Activities Report for May 6, 2011 includes: Globe Metals & Mining Limited (ASX:GBE) has discovered the first ever rare earth and specialty metal mineralisation at Mount Salambidwe in southern Malawi; Argo Exploration Limited (ASX:AXT) will commence drilling at the Oak Dam South prospect and the Winjabbie East prospect in mid May; Alkane Resources Limited (ASX:ALK) has discovered extended resource at the Galwadgere copper-gold deposit in New South Wales; Sentosa Mining Limited (ASX:SEO) has commenced a sampling program at its Jaurdi Hills Gold Project in Western Australia. 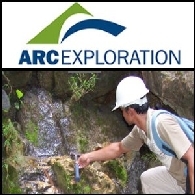 Arc Exploration (ASX:ARX) discovered high grade gold veins in Indonesia; Globe Metals & Mining Limited (ASX:GBE) identified heavy rare earth mineralisation in Mozambique; Energy Ventures Limited (ASX:EVE) has completed a new resource estimate for the Aurora uranium deposit located in southeast Oregon, USA. ; Straits Asia Resources Limited (SGX:SAR) has been issued the Principle Licence on the Northern Leases at Sebuku. 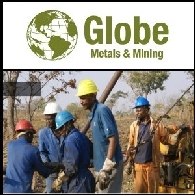 Australian Market Report of November 22, 2010 includes: Globe Metals and Mining Limited (ASX:GBE) confirmed significant Heavy Rare Earth discovery in Malawi; Empire Resources Limited (ASX:ERL) discovered nickel-copper-platinoid outcrops in Western Australia; South Boulder Mines Ltd (ASX:STB) has intersected further highly encouraging massive Ni-Cu-PGE sulphides in Western Australia; Energia Minerals Limited (ASX:EMX) has successfully completed aircore drilling within the Nyang and Onslow Uranium Projects in Western Australia. 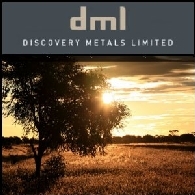 Australian Market Report of September 28, 2010 includes; Discovery Metals Limited (ASX:DML) renewed seven Prospecting Licences for copper exploration in Botswana; Dragon Mining Limited (ASX:DRA) announced the recommencement of gold exploration in Finland; Northern Star Resources Limited (ASX:NST) has received extremely high-grade gold drilling results in Western Australia; Globe Metals & Mining (ASX:GBE) has identified significant potential for rare earth mineralisation in Mozambique. Australian Market Report of September 2: Fears about "September Effect"
Wall Street fell for a third session despite a positive manufacturing data in August. The sell-off was caused by concerns over banks&apos; outlook and fears about September, which was historically one of the market&apos;s weakest months.